In a nutshell that’s the whole point of this article, but there are a few details worth mentioning that are going to be added to the equation. 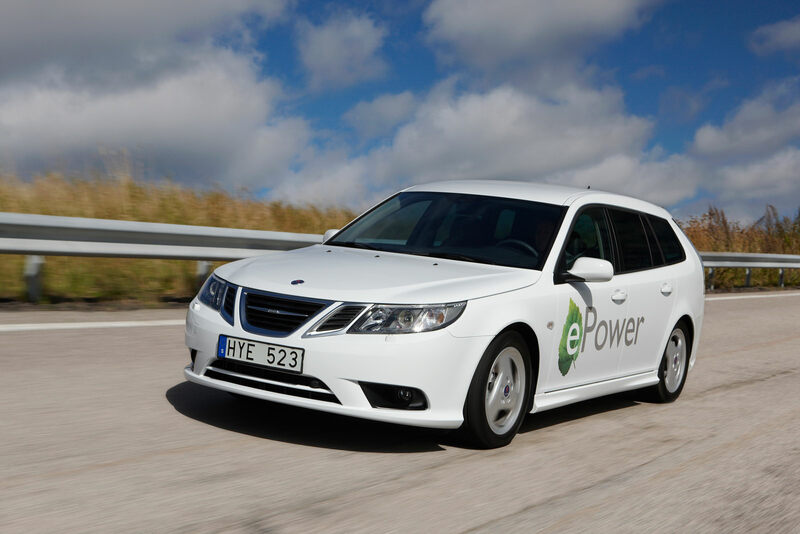 Saab’s first ever EV, the 9-3 ePower, is set to have its debut at the ever nearing Paris Motor Show in prototype form. The prototype model of the SAAB 9-3 ePower is based on the SportWagon variant of the current 9-3 and, apparently, will lead to a test fleet of 70 vehicles that will participate in field trials in Sweden early next year. It would seem that they’ve nicked that idea from the Mini E program but no matter as it’s a good one and will help people establish real world boundaries for the new EV. The car is powered by an electric motor rated at 184 horsepower which is driving the front wheels through a single-speed transmission. The energy needed to run it comes from a compact 35.5 kWh lithium-ion battery pack that finds home in a modified floor-pan and takes up the space occupied by the exhaust system and fuel tank on the standard version of the 9-3 SportWagon. The Swedish automaker says the EV can accelerate from zero to 100km/h (62mph) in a respectable 9.5 seconds and continue on to a top speed of 150km/h or 93mph. 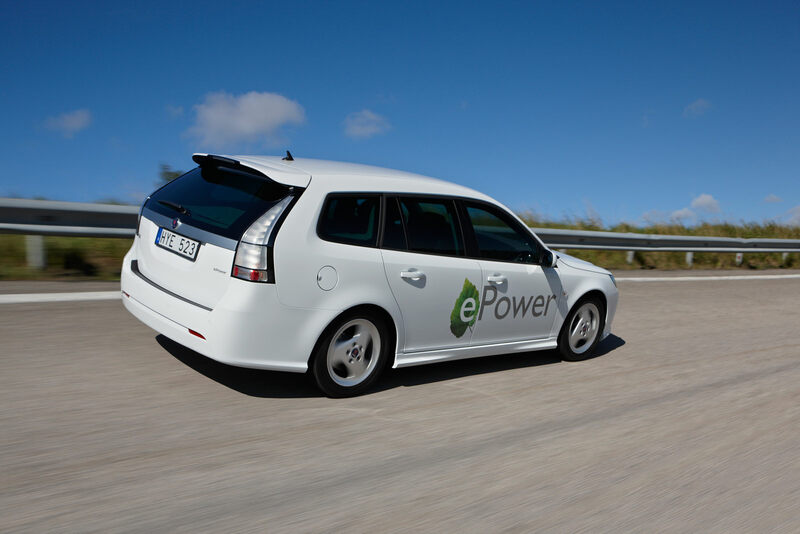 The projected driving range on a full charge is this estate is approximately 200 kilometers or around 124 miles. Saab said the battery can be fully recharged from a domestic mains supply in three to six hours, depending on depletion status which is remarkable. SAAB has made an alliance with quite a few manufacturers in order to create the 9-3 ePower namely Boston Power (they supplied batteries), Electroengine in Sweden AB (they supplied the electric power trains), Innovatum (a company that took responsability for project management) and Power Circle (Sweden’s electric power industry trade organization).